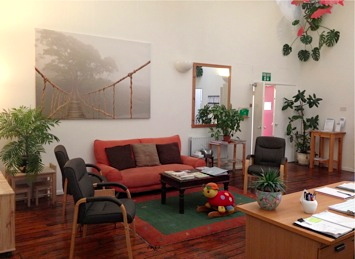 For more information about Greenwich Natural Health Centre click below. The Greenwich Natural Health Centre was established in 1994 and is a group of independent practitioners who are committed to the principle of holistic health care, including Acupuncture, Aromatherapy, Counselling, Cranial Osteopathy, Craniosacral Therapy, Herbal Therapy, Homeopathy, Hot Stone Therapy, Hypnotherapy, Massage, Naturopathy, Nutritional Therapy, Osteopathy, Reflexology, Psychotherapy, Reiki, Shiatsu and Tui Na massage. Use the form below to get in contact with me directly or to arrange an appointment. Be sure to include your email address, phone number and your enquiry. I’ll get back to you as soon as possible. The Greenwich Natural Health Centre is located on the first floor of Neptune House. A chair lift is available for those who may require it and Reception staff will provide any necessary assistance. 177, 180 and 199 to Greenwich High Street. Car parking: Streets in the immediate area are pay and display zones. Free parking is available at the top of Hyde Vale - 10 minute walk.